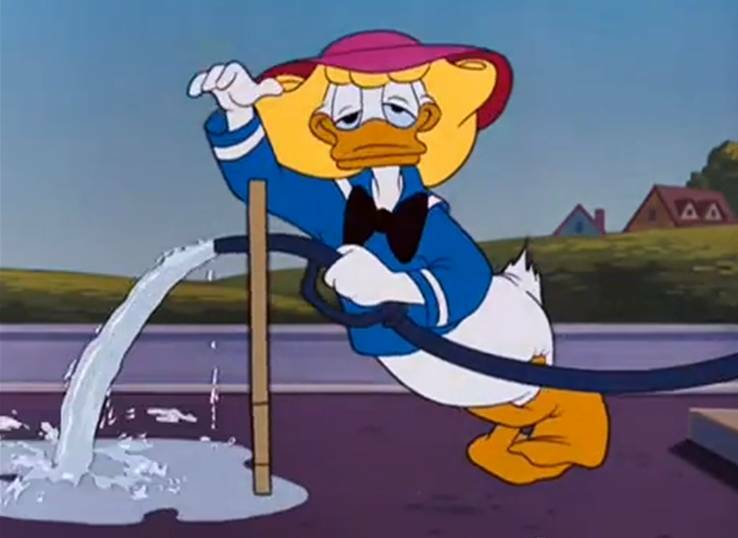 Crazy to say, but it has been quite some time since we have seen Donald’s nephews, Huey, Dewey and Louie in a short. With Lucky Number, that changes, and in the best possible way. As we all know by know, Donald is the absolute best when he is being irritated and the boys do that better than anyone else does. In this case, though, they’re trying to help him, which is a nice change on the formula. The nephews are working with Donald at a service station, which is a full service gas station for all you youngsters out there. In the old days, rather than just let you pump your own gas and buy Cheetos, the gas station attendants could change your oil, pump your gas and even bring you a drink. That’s what we see Donald and his nephews engaged in as the short begins. But Donald has to be distracted because he has a raffle ticket for a brand new car. Unfortunately, when the radio announces the winner, it’s 341, not 342 like the ticket Donald is holding. While he storms off, however, the nephews listen to the announcer correct himself, and it turns out Donald did win the car. Rather than go tell him, however, they decide to go get the car and surprise him. Thus begins the futile struggles of Donald’s nephews to keep moving and surprise Donald without driving him nuts. First, it’s that they don’t have any gas in the car they rebuilt to go get the raffle winnings. 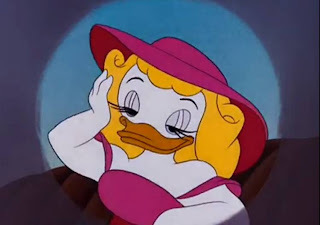 Then, they have to try and convince Donald to give them gas by dressing their lousy car up like the new car and dressing one of the boys up like a vivacious female duck! It’s all very silly, but that’s the fun of it. What I love about it is how the nephews are so persistent in their efforts, in the face of Donald’s dogged persistence to deny them. 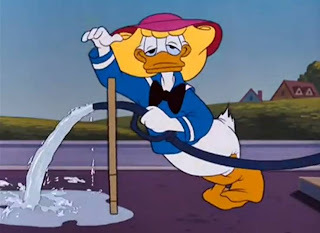 There’s a very cool sense of irony to the whole thing, because Donald doesn’t realize that the boys are really trying to help him, and he’s hindering them at every turn. It’s a unique twist on the formulaic nature of these shorts, where the boys are battling Donald all the time. 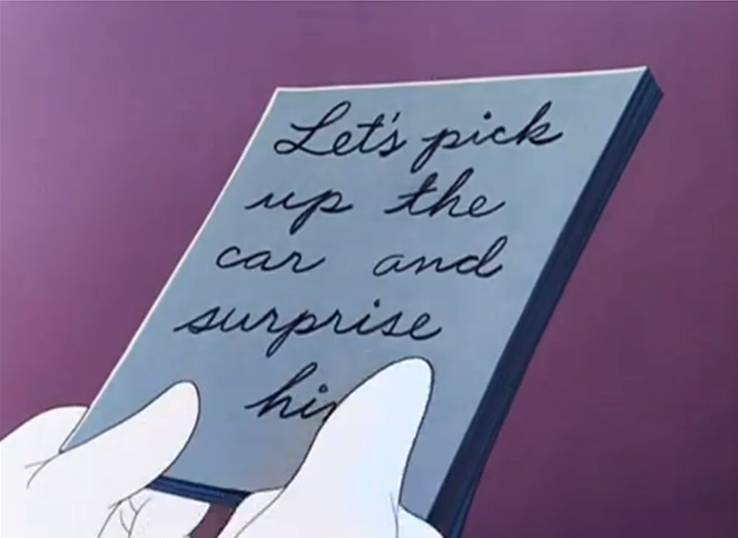 When they finally get the car home to Donald, he’s so mad that they fooled him with the fake car that he destroys the real one. Yes, he overinflates the tires, pours tar on it, floods it and crushes it against the ceiling of the garage. The scene of Donald attacking his own good fortune is hysterical, as the boys plead with him not to do it. 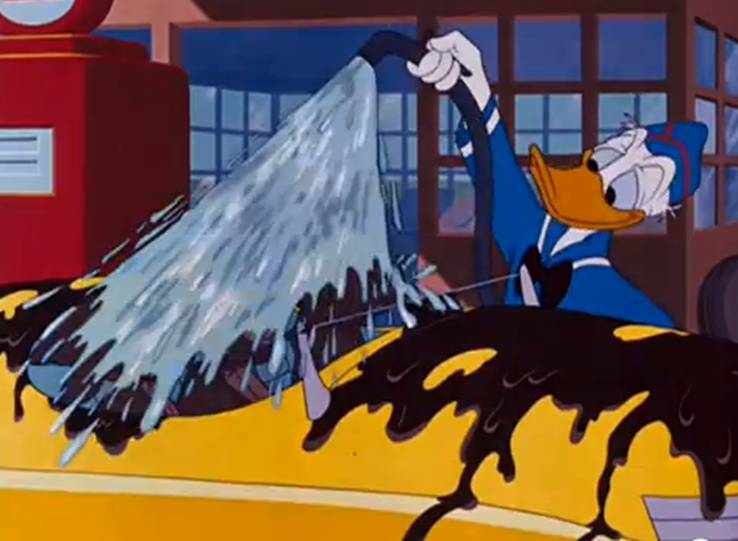 It’s not until the radio announcer mentions that he hopes Donald is enjoying his new car that the poor duck realizes what he’s done. The whole inversion of the typical Donald formula is what makes Lucky Number so good. This is one that stands out as one of Donald’s best. Poor Donald! I think he suffers *too* much in this short... to the point where, when watching it as a kid, I only felt sorry for him as he wrecked his beautiful new car in the end. It looked so aesthetically appealing that kid-me was as shocked/sad as the nephews to see it get destroyed!